As you may or may not know today marks the anniversary of Walt Disney's passing. A lifetime of smoking gave Walt a large tumor in his left lung. Removing the lung was his only option but he sadly died a few days later. 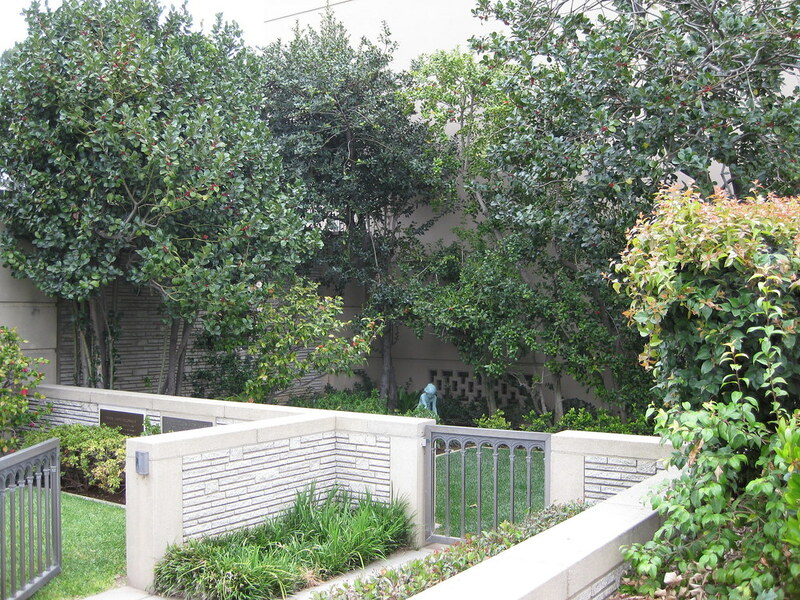 Walt was cremated and his ashes placed at Forrest Lawn Glendale. You can find his grave in a small garden outside The Freedom Mausoleum. I was able to visit it a few months ago during a trip to California. Here is the entrance to Walt's Garden. And a shot from the inside. 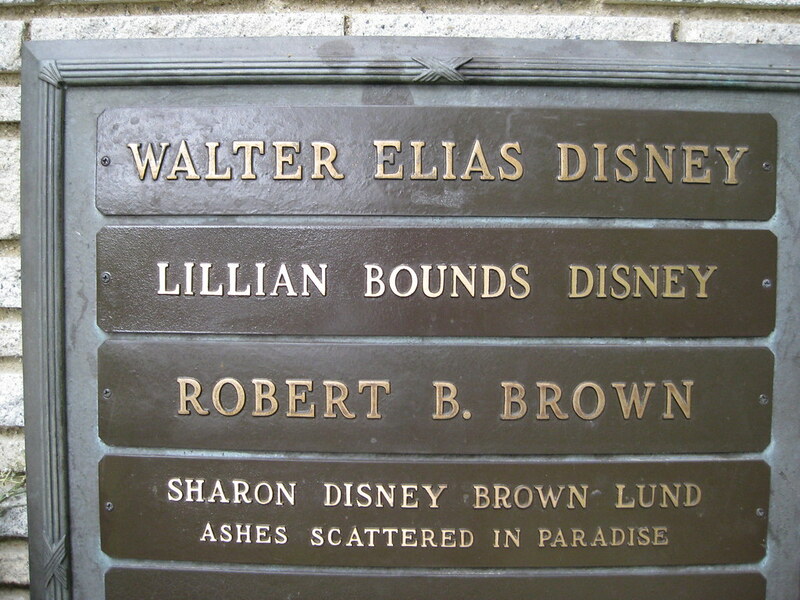 Buried with Walt are his wife Lillian, and their son in law. 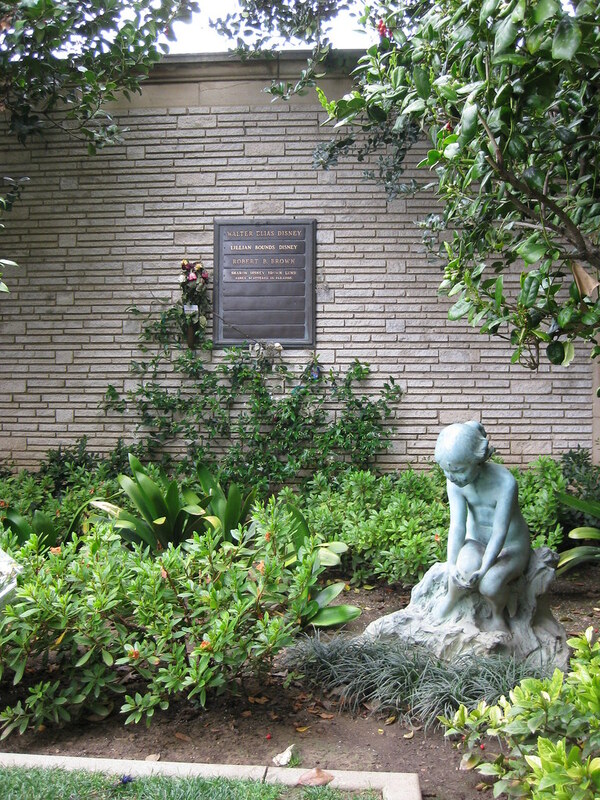 If you are interested in paying your respects to Walt you can visit Forrest Lawn Glendale. The employees are not permitted to tell you where someone is buried though. If your looking for Walt follow the signs to The Freedom Mausoleum. His garden is on the left hand side of the entrance. The first page of my Flickr has an aerial shot with his garden circled. This is the first time that I have seen photographs from inside Forest Lawn. BTW, what is the link to your Flickr account? Thanks for posting this info. I've always wanted to go check out his garden, but didn't know if it was in a private section or not. I think one website mentioned something about locked gates for certain celebrities. Great photos! I know some of the buildings are locked and not open to the public like Michael Jackson and Humphrey Bogart. Walt's garden though is open and lots of people had left flowers and little notes. Forrest Lawn Glendale is HUGE and is full of celebrities. I wanted to thank you for this great read about this Auto Repair West Palm Beach FL topic. I definitely enjoying every little bit of it.I have you bookmarked to check out new stuff you post.